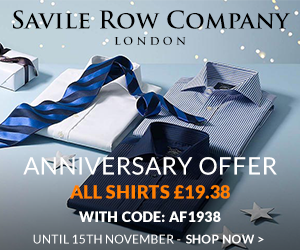 Savile Row co are running an unmissable offer of £19.38 for all shirts. Customers simply need to enter code AF1938 at checkout. Promotion running from Weds 12th Nov to Sat 15th Nov. There are three banners set up on the account to use.